Will the war in Yemen become the next battleground in the ongoing Iran-Israel proxy war for the Middle East? The past year has witnessed a more out in the open proxy war between the two grow in Syria, but the role of both in Yemen has been more obscured: Israel has echoed US charges that Iran supplies Yemen's Shia Houthi rebels with ballistic missiles capable of hitting Riyadh, while the Shia rebels have accused the "Zionist" Saudis of massacring the civilian population as the kingdom's covert intelligence sharing alliance with Israel has become public knowledge of late. While the two have waged what is largely up to this point a war of words in Yemen, trading accusations of operating in the shadows, Israel has now openly threatened to intervene off the coast of Yemen if Houthi forces block the vital waterway through which cargo ships bound for Israel pass from Asia. According to a breaking Reuters story, "Israel would deploy its military if Iran were to try to block the Bab al-Mandeb strait that links the Red Sea to the Gulf of Aden, Prime Minister Benjamin Netanyahu said on Wednesday." This is the first significant threat of deploying military force issued from Tel Aviv in the Yemeni theater, and comes after the temporary halt in shipments through the strategic Bab el Mandeb strait which began a week ago. 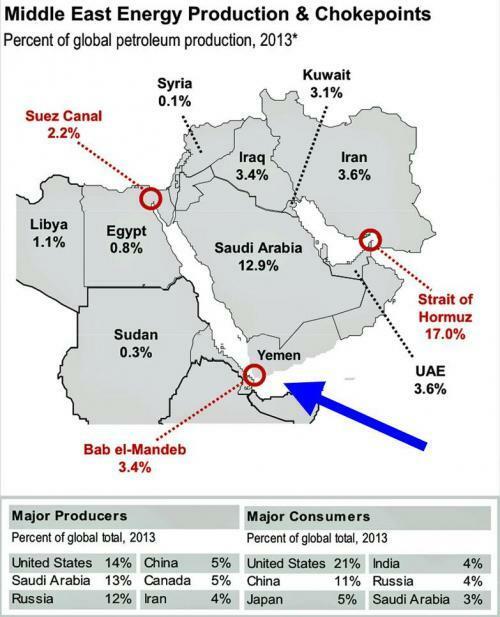 The halt followed a Saudi accusation that Iran-backed Houthi rebels in Yemen had attacked two Saudi oil tankers traversing the waterway, driving home the threat that the conflict poses to a key chokepoint in international trade and the flow of Gulf oil to world markets. The Houthis for their part claimed they had actually attacked a Saudi warship rather than oil tankers. Saudis have in previous months accused the Houthis of attacking Saudi commercial ships passing through the strait with surface-to-surface missiles supplied by Iran. In early April, for example, the coalition said a Saudi oil tanker in the Red Sea was hit in a Houthi attack off Yemen’s main port city of Hodeidah, and escaped with minor damage after another coalition ship intervened. Meanwhile major Western media have largely ignored the devastating Saudi military intervention in Yemen, now in its third year, which has resulted in possibly up to 70,000 deaths, according to some humanitarian and activists group accounts. 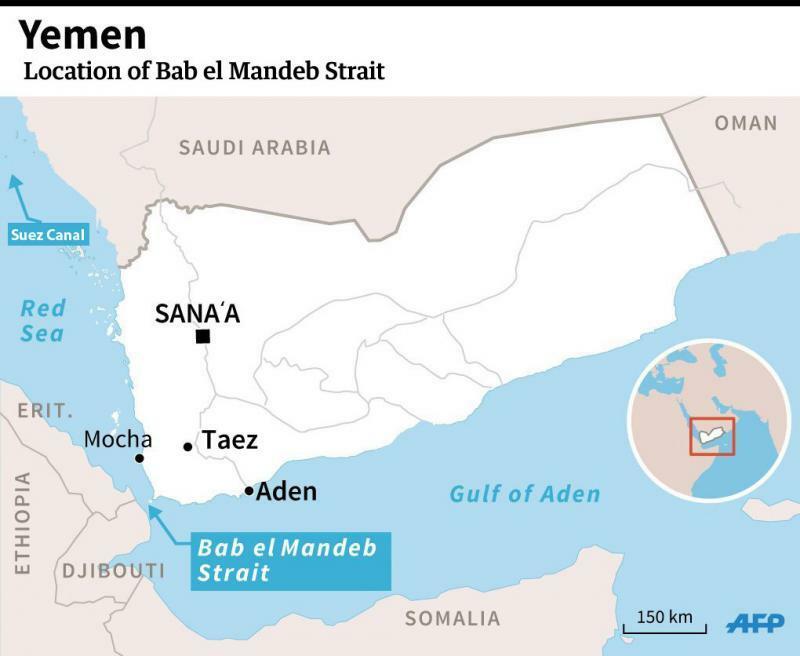 Yemen's Houthis have on several occasions threatened to block the vital Bab al-Mandeb strait along with last week announcing naval capabilities of striking Saudi ports. Simultaneously, there's a growing standoff in another major oil transit point, the Strait of Hormuz in the Persian Gulf, where Iranian military leadership (specifically the elite IRGC) and the Pentagon have exchanged threats over oil tankers' safe passage. Though Iran has issued veiled threats of blocking the Hormuz strait, it's not directly addressed fighting near Bab al-Mandeb, possibly playing a much more behind the scenes and reserved role in Yemen. Netanyahu further called recent alleged incidents of Houthi attacks on Saudi ships "a sharp clash with Iran's satellites who tried to sabotage international shipping" at the mouth of the Red Sea. Israel's defence minister, Avigdor Lieberman, in a separate speech echoed the prime minister's charge at the same event, saying he had "recently heard of threats to harm Israeli ships in the Red Sea" while giving no further specifics to back the claim. The halt of oil shipments could provoke an escalation of the conflict with external powers intervening in a bid to assist Saudi Arabia and the UAE in defeating the Houthis and dealing a blow to Iran’s alleged regional presence.